My Grandma and her husband Jack love garage sales! They find steals all the time. Most of the stuff they find is not something they need, they buy purely for entertainment. They keep a lot of there finds in there basement and she says if there is anything you need come and look. So Sunday my sister and I decided to go shopping in Grandma's basement. 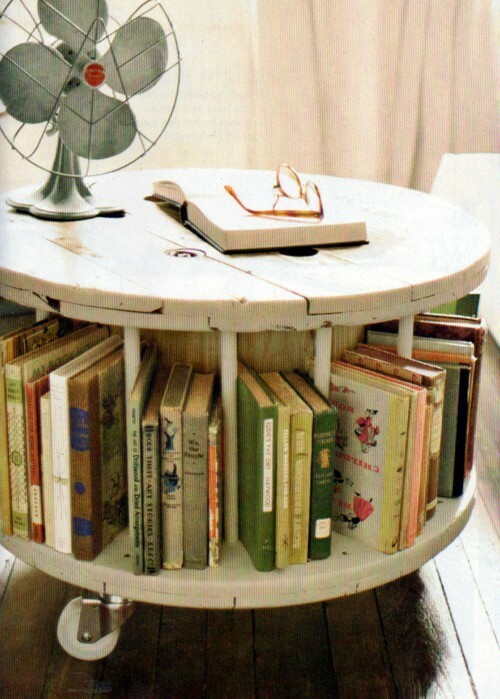 So here's my cute little table I found....it holds books or I think that's what it's for. I just love it!! I found this cute table of Pinterest and I thought it would be cute in the middle of the boys beds. I also need a side coffee table for my living room so I can't decide. I just can't wait to get my stuff back, I'm ready to decorate!! I plan to paint or stain my new table more posts to come! !